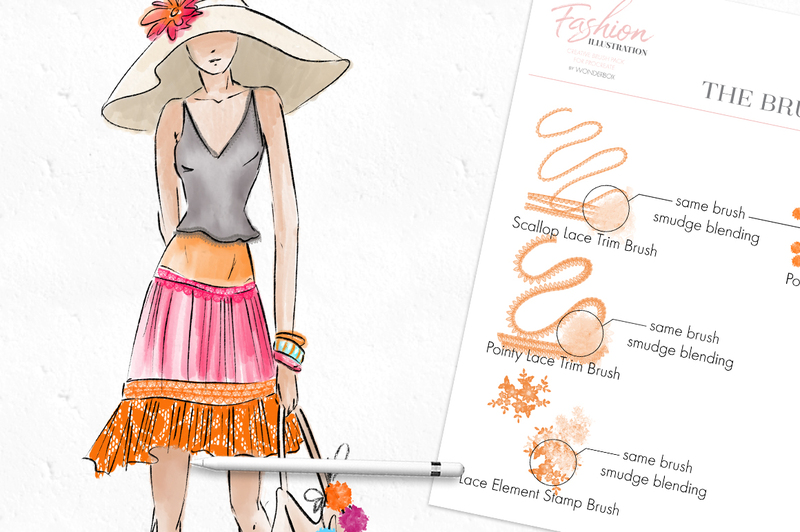 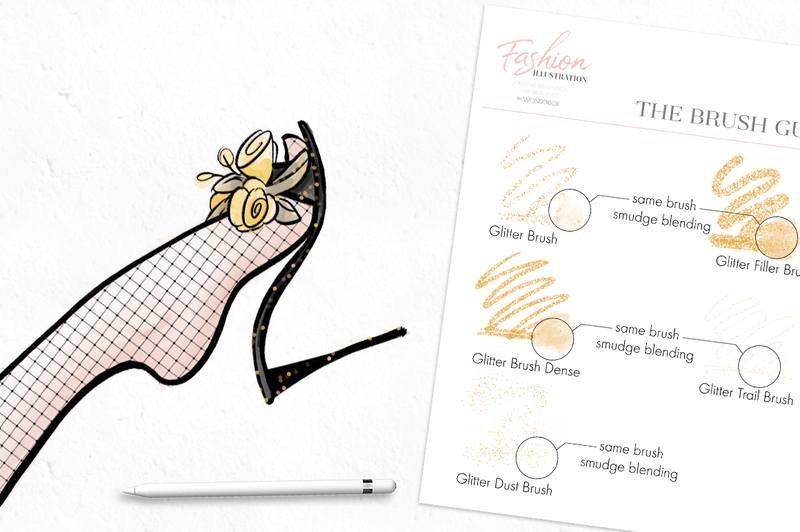 Introducing Fashion Illustration Toolset For Procreate. 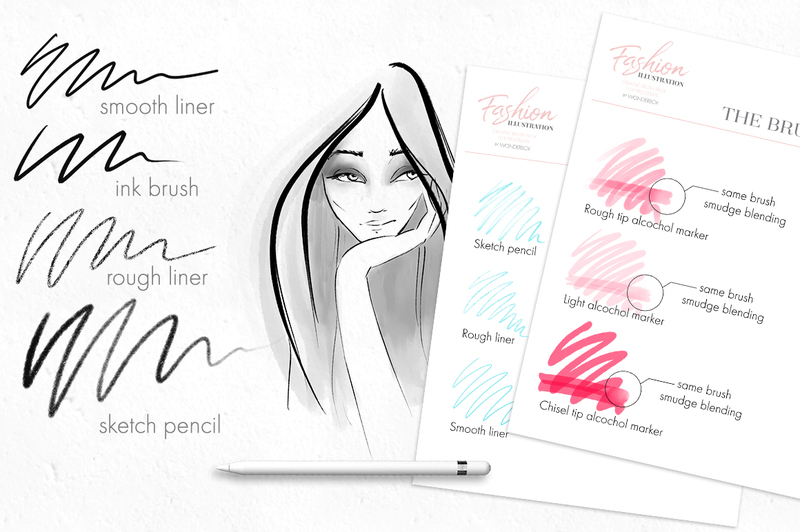 Instantly whip quick sketches up or illustrate like a pro – all the tools you need are in this pack and then some! 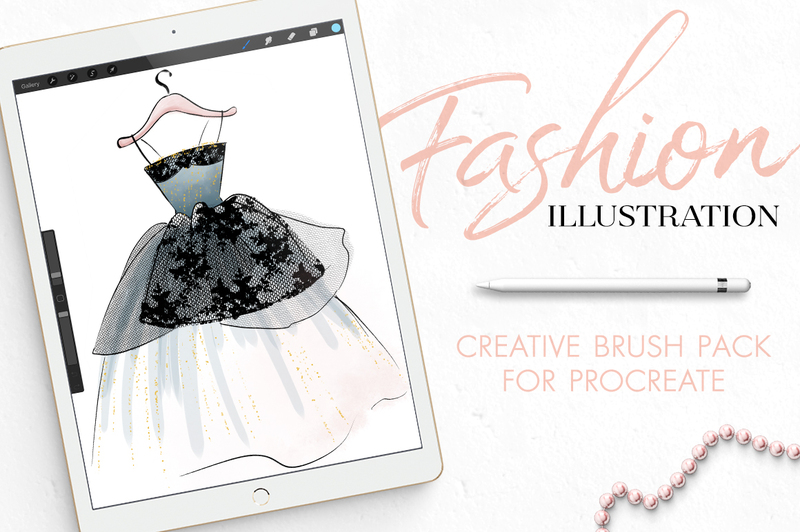 We are delighted to present you a very versatile and diverse set of tools for sketching and drawing various styles of fashion illustration on iPad Pro with Apple Pencil. 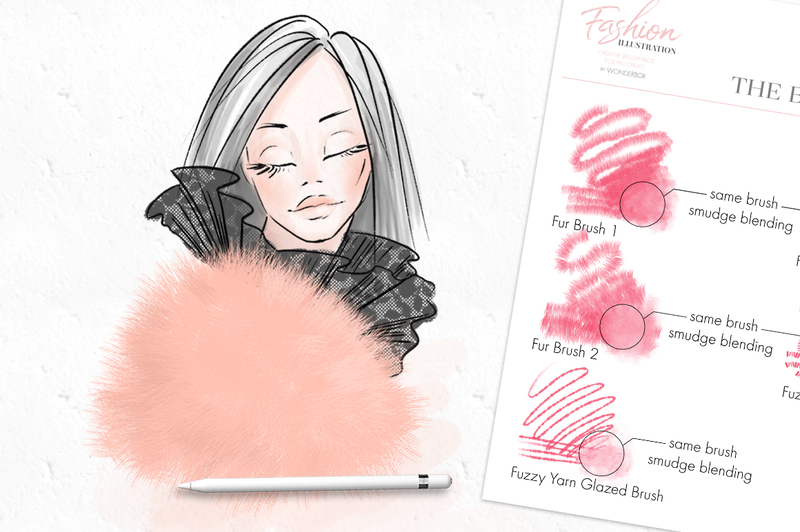 Just install the brushes and start drawing to get amazing results. 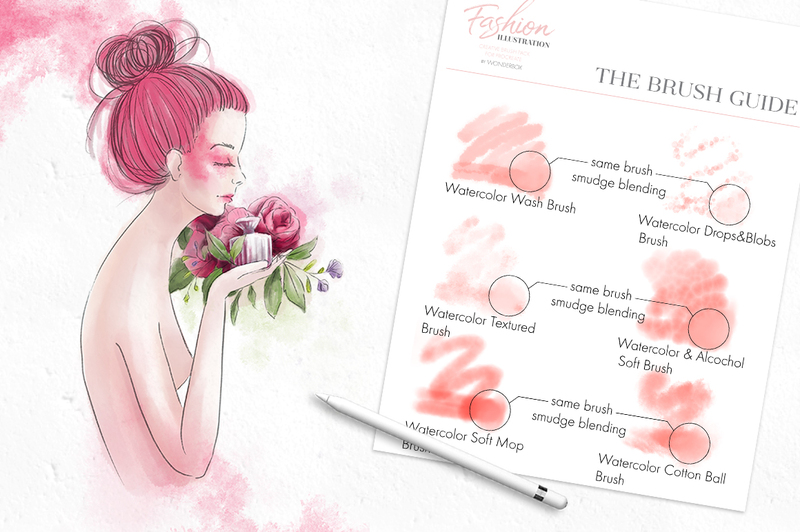 This set includes basic sketching and drawing tools like pencil and ink brush; artistic alcohol markers and watercolor brushes for painting and some very very special brushes that are going to make your designs really stand out. 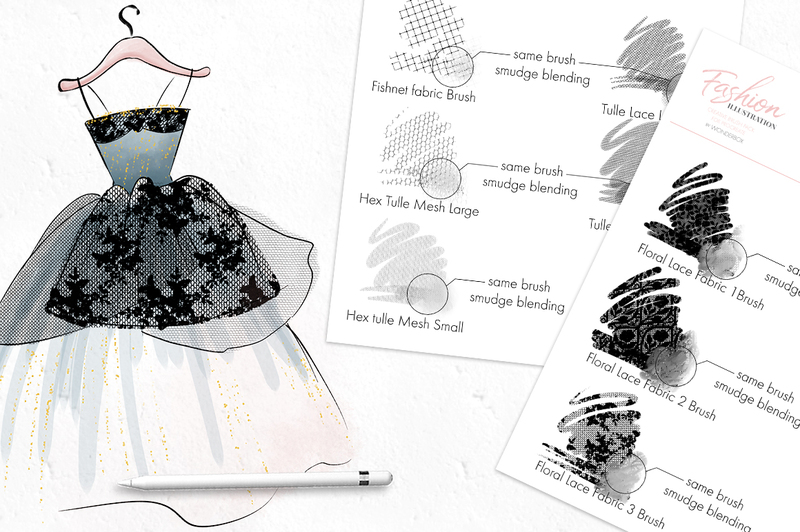 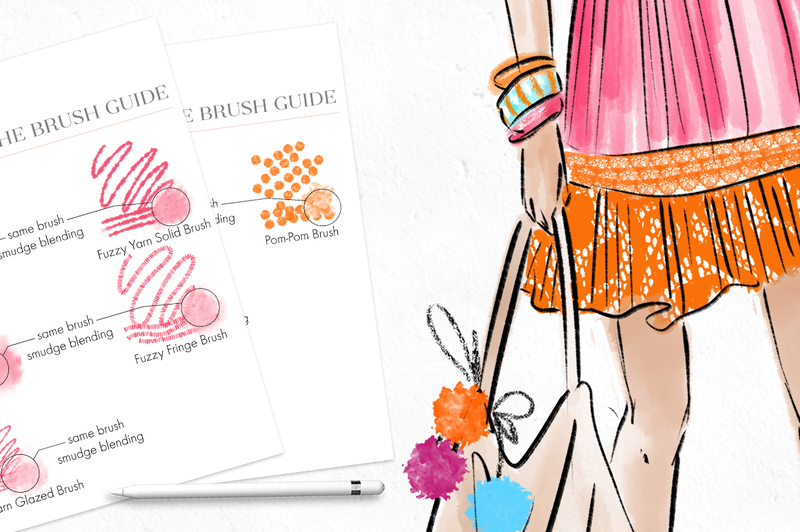 Tulle fabrics, lace fabrics, knit and woven fabrics, zipper, are just a few of the brushes that will take your illustration process to a whole new level. 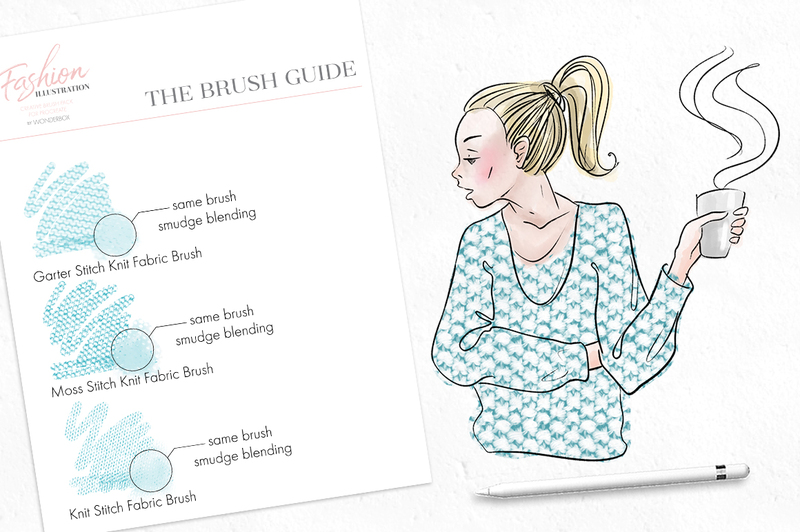 They save loads of time and give impressive instant results! 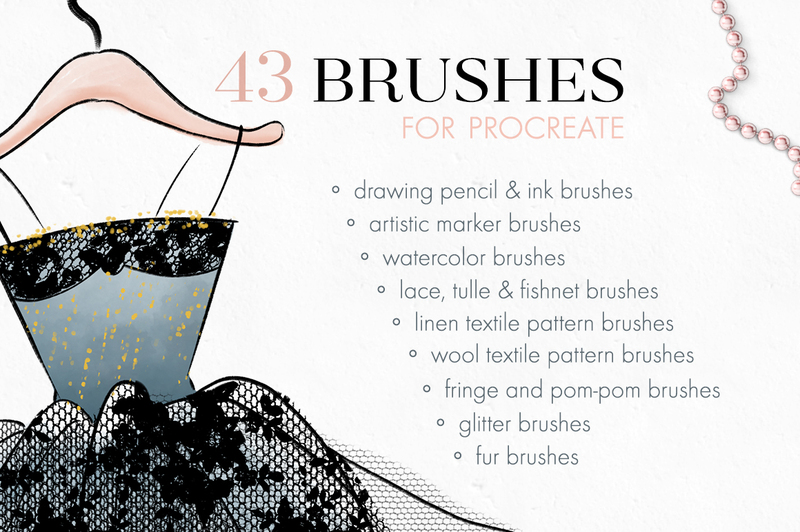 Some of the brushes are great for hand lettering too, so have fun and explore them. 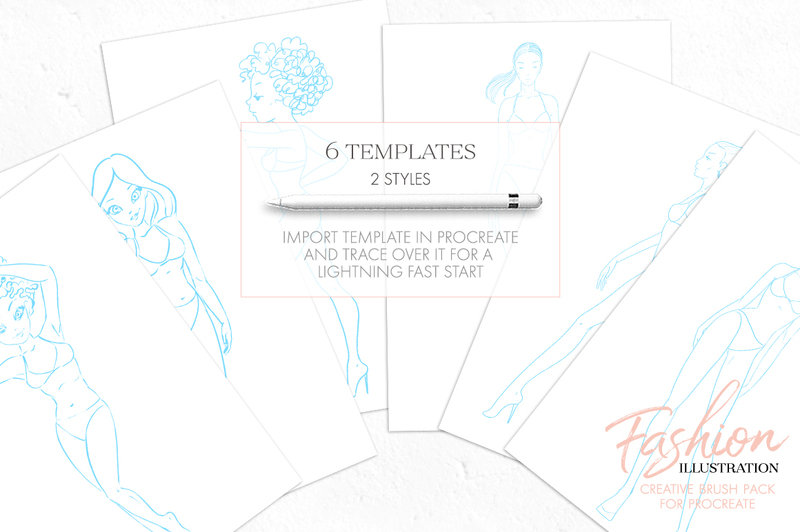 Important – this set will work only with Procreate app on iPad Pro or iPad 2018 with Apple Pencil or a compatible stylus.